One of the indie video games that have created the hugest buzz over the last few years is definitely Hello Neighbor. Belonging to the stealth horror genre, it introduces us to a story about the arrival to our neighborhood of a rather disturbing and suspicious-looking neighbor who doesn’t seem to be up to any good. Our mission will be to quietly break into his house to try to discover the terrible secret hidden in his basement… obviously, without getting caught. The objective of the game is quite simple: we have to try to get into his house and advance through the different rooms by solving puzzles and brainteasers without getting caught by our neighbor. If he does, we’ll have to quick enough to hide or escape so he can’t catch us, otherwise, we’ll have to start the game all over again. The idea is easy to understand but that doesn’t mean that it’s also easy to master, therefore, this Hello Neighbor tutorial that we’re offering you with a selection of cheats is going to be extremely useful. We have to bear in mind that amongst the game’s most attractive features, beyond those cartoonish graphics, we’ll find the complexity of the puzzles to be solved and the character’s own artificial intelligence. On the one hand, the puzzles will remind us of those graphical adventure classics: in many cases they don’t follow any kind of logic and you’re going to need to find the right solution to be able to continue. Therefore, since you’re going to get stuck on many occasions, here we’ll teach you how to advance in Hello Neighbor, solving all its riddles and brainteasers. And on the other hand, as we mentioned above, we also have to bear in mind our neighbor’s artificial intelligence. After falling for the first trick, ends up learning how it works. In other words, you’re not going to be able to use the same stunts time and time again to stop him, having to be creative and continuously innovative. 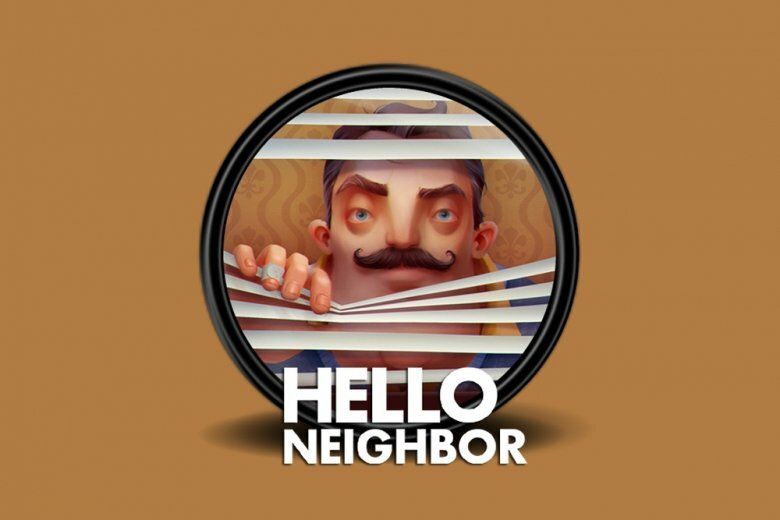 Hello Neighbor is a game that works just like some of the greatest classics of the action and adventure genre which are developed in a first-person view. To start off, the player has to break into his neighbor’s house with the intention to get down to the basement to find out what secrets he may be hiding. Hello Neighbor is an indie adventure and strategy video game for PC developed by Dynamic Pixels and tinyBuild. It comes along with graphics that will probably remind you of the style used by Pixar, the popular animated movie producer behind films of the likes of Toy Story. Set in a world of stealth and horror, our target is to break into our neighbor’s house and go down to his basement without getting caught in order to reveal the terrible secrets hidden thereby. It’s a game belonging to the stealth horror genre which has become tremendously popular as of lately due to other titles such as those belonging to the Five Nights at Freddy’s saga.